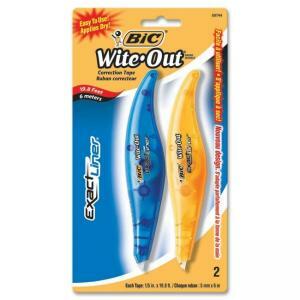 Use Wite-Out correction tape for fast, easy precise corrections. Exact Liner combines the feel of a pen with the benefits of a top-quality correction film. The grip zone provides better comfort and control while the wide clip easily attaches to pocket planners. Pen design allows easy carrying and storing. Easy to use. Odorless correction tape offers dry correction and instant rewriting or retyping.